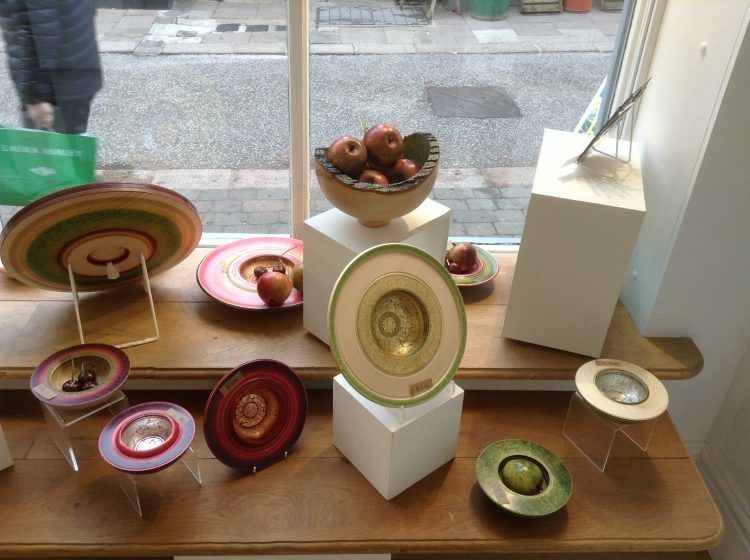 Yes, that’s right – we’re over half way through our exhibition at Artspace in Woodbridge! 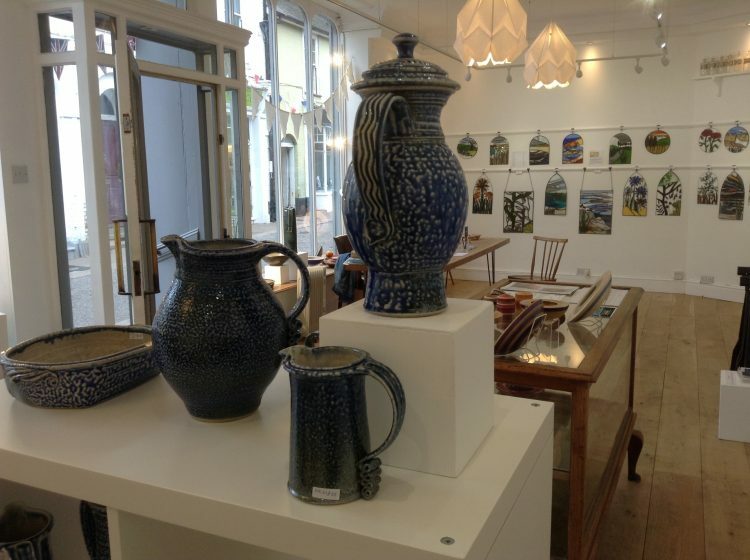 Three more days to go – we close at 5pm on Wednesday afternoon. 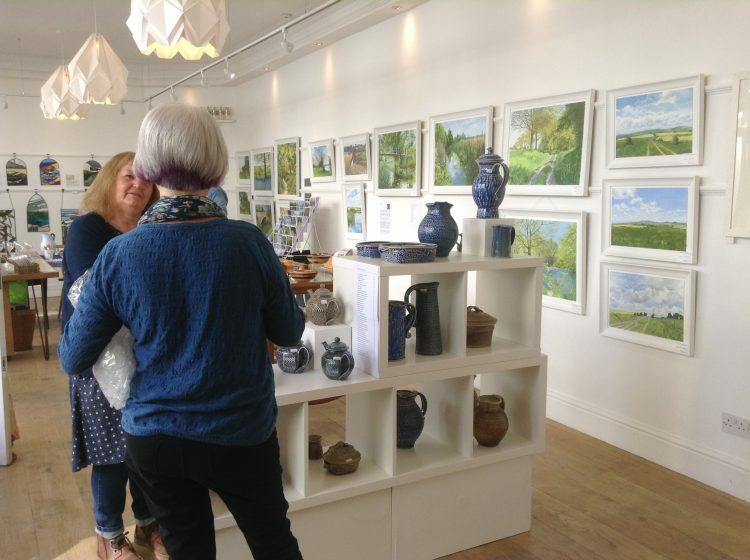 We have had lots of lovely visitors, sales and very interesting conversations – and amongst our visitors have been a number of delightful dogs! I was very taken with a King Charles spaniel yesterday – a little rescue girl called Darcy, and today we had a very pretty whippet /collie cross whose owner explained that her whippet half wanted to chase and kill, and her collie side wanted to herd and fetch so she had something of a personality confusion! 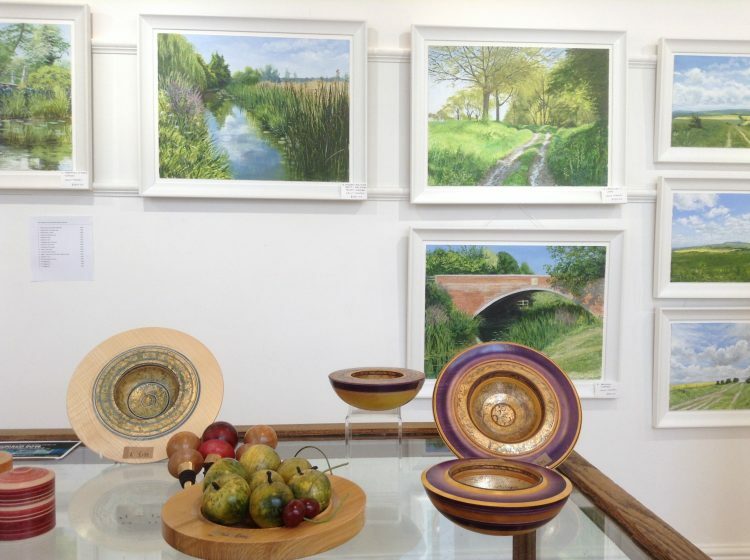 Here are a few shots of the show to give you an idea what it is like – but better still call in and see us: 64, The Thoroughfare, Woodbridge. 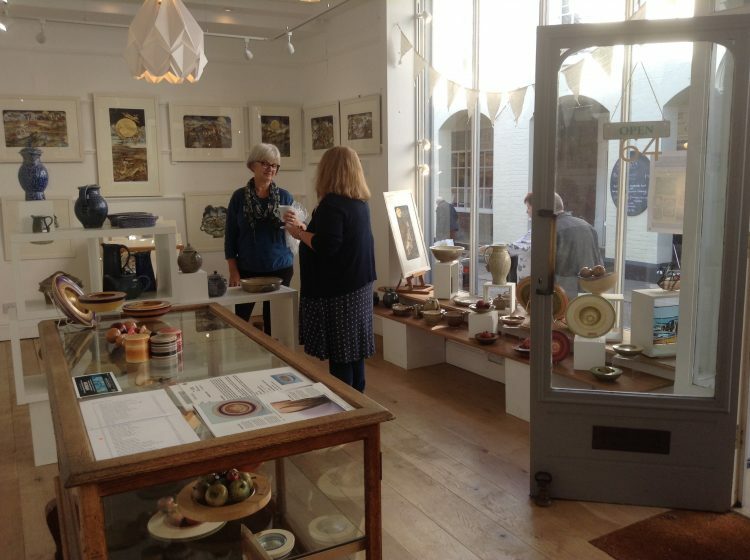 Naomi Brangwyn (stained glass) and Mandy Waldon (prints) in front of Mandy’s work, with some of Dennis Hales decorative woodturning and Deborah Baynes’ pottery visible in the foreground. 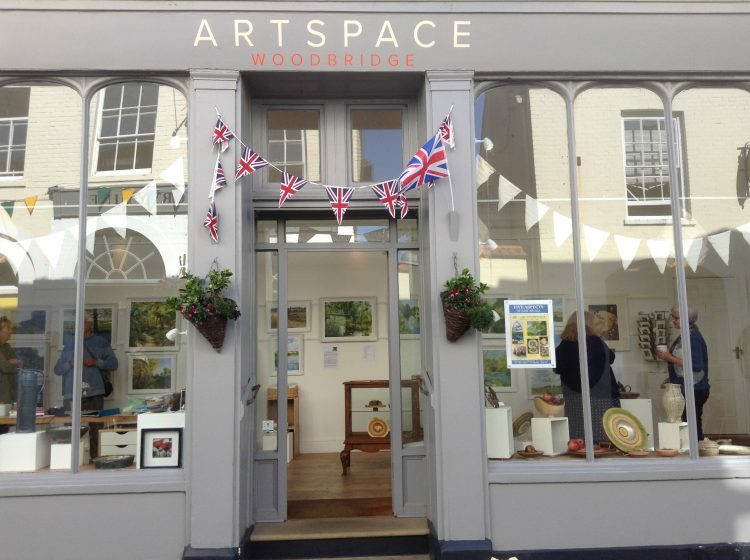 We have been very encouraged by the visitors who have commented that it is the best show they have seen so far in Artspace, so worth a trip to Woodbridge!